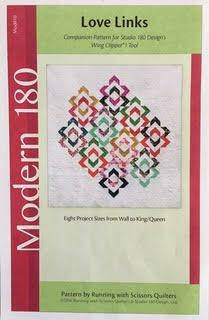 Interlocking chevrons make this quilt look difficult, but the design is made easy by using flying geese. The students will be able to master making flying geese, which they will then be able to use throughout their quilting years. Students will be required to have pieces cut out before class. Pieces will be provided for students to practice on before sewing on their chosen fabrics. Rulers and pattern can be purchased from the instructor.